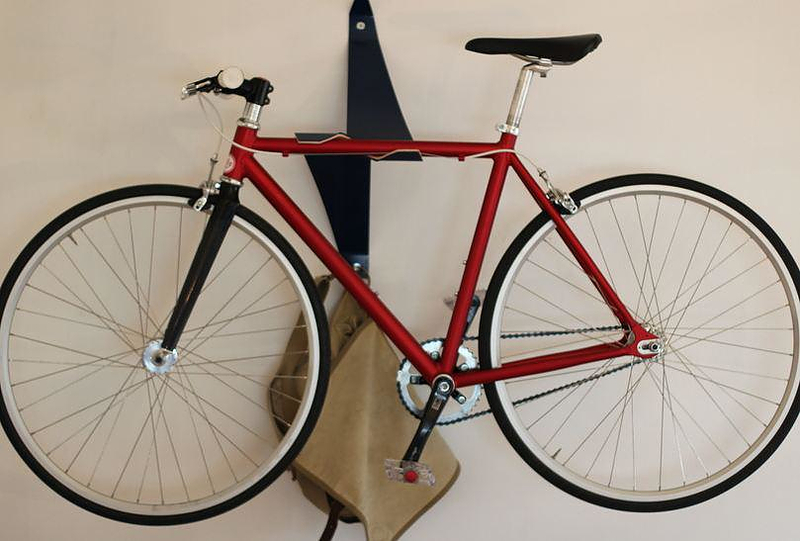 HomeBlogHome DecorThe Bike Valet, by Reclamation Art + Furniture. 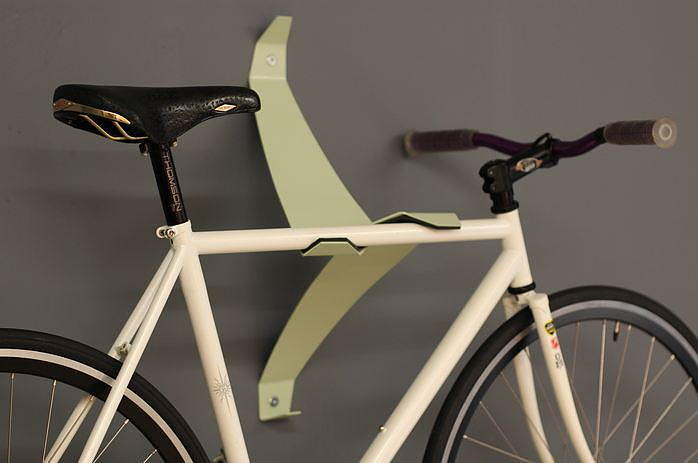 The Bike Valet by Reclamation Art + Furniture is an elegant solution for city dwellers to store their bikes, its sleek angular shape makes it also a nice decorative item. 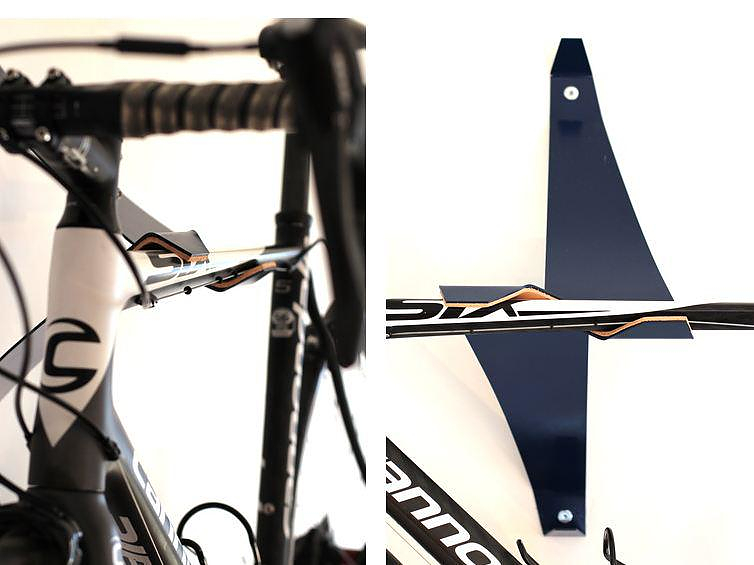 This stylish storage solution will proudly display your bike on the wall and at the same time frees up floor space. 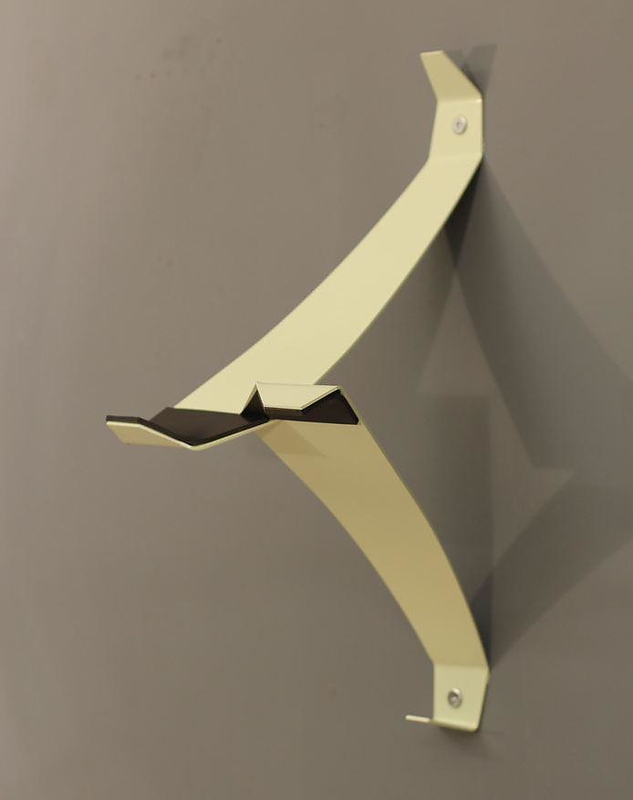 But what I like the most is that it doubles as a nice designer hanger. 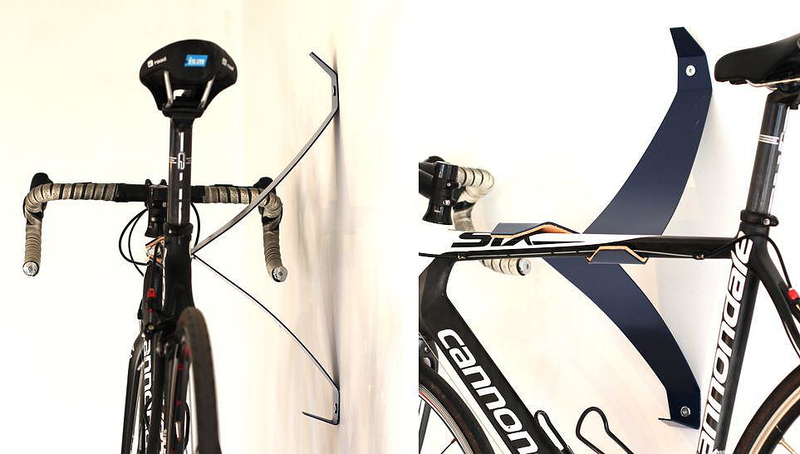 The dual hanger allows you to conveniently hang your helmet, bag, bike lock, or other cycling accessories together with the bicycle. 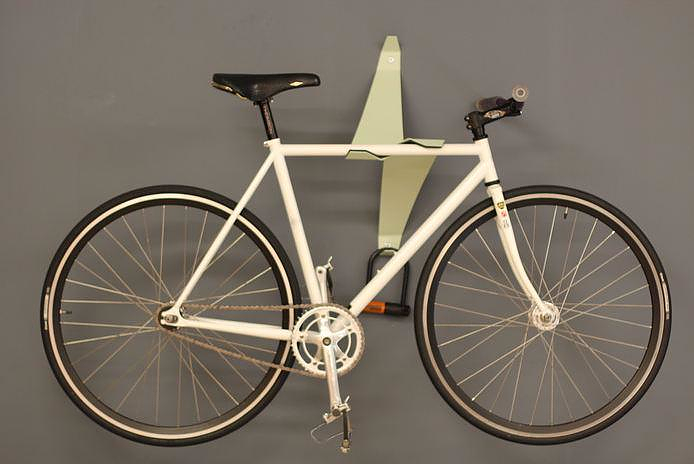 A clever and efficient design that looks good, with or without your bike on it. 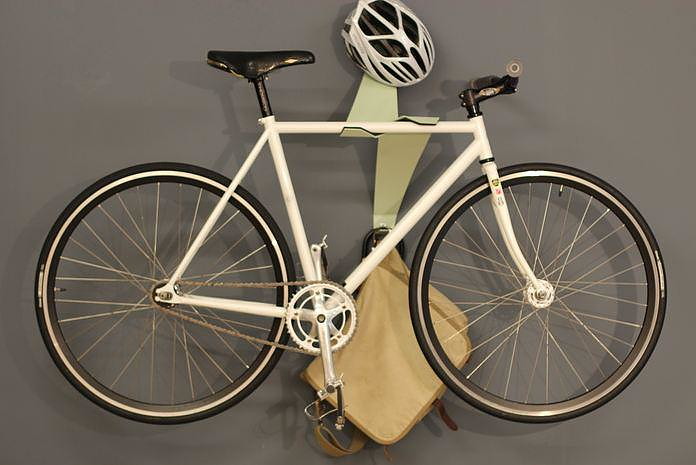 The Bike Valet is made from 1/8″ cold steel initially designed in Sketchup and later transferred to CAD. 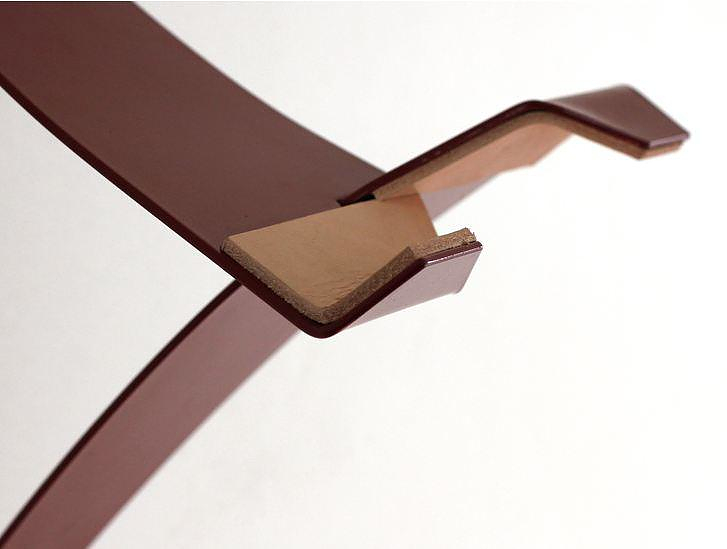 Its elegant shape is cut using a laser cutter. 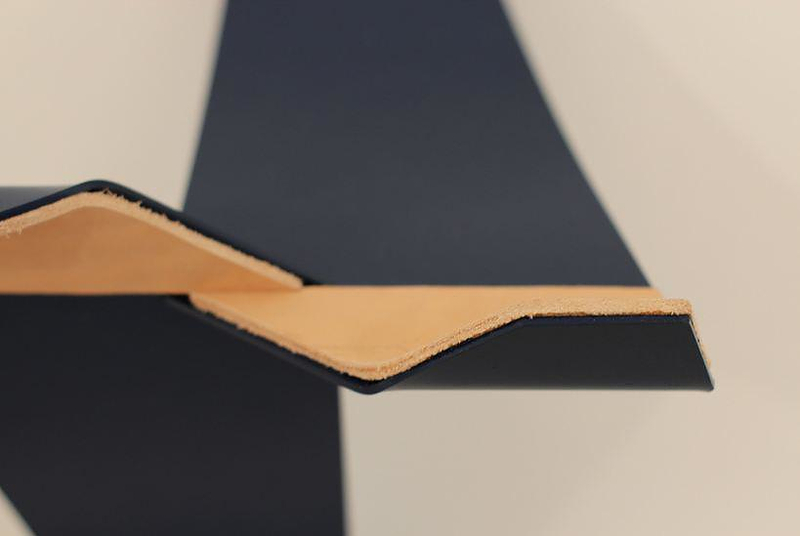 It is heated and bent by hand to the appropriate spec’s and then powder coated for a durable long-lasting finish in red, blue, black, cream white, pale green or grey. 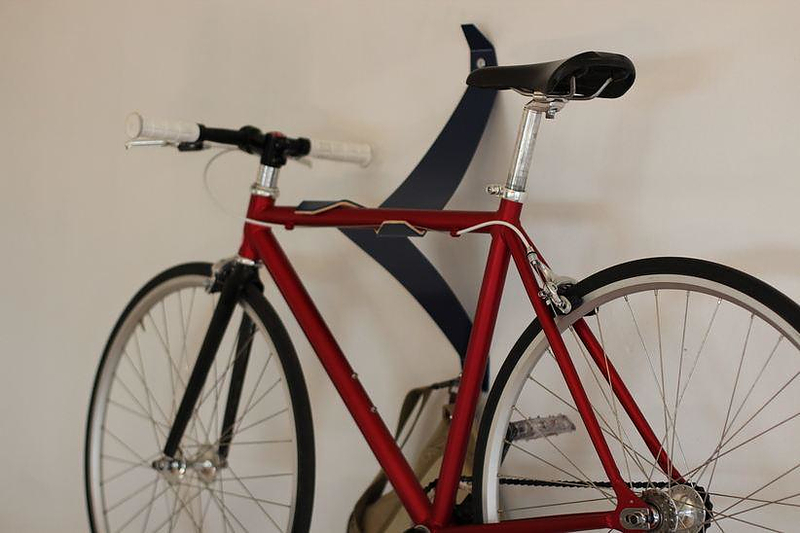 The user has a choice of either a leather or neoprene pad to rest his bike on.